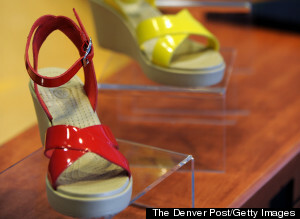 The world's biggest maker of goofy plastic clogs tried to do too much, too fast. As part of a sweeping restructuring plan, Crocs will close or convert 75 to 100 stores and slow down the pace of new store openings around the world, the company announced during its earnings release on Monday. Converted stores will remain Crocs shops, but will be run by third-party operators. Crocs will also lay off around 180 employees -- about 4 percent of its total workforce of 5,000 -- including 70 from its headquarters in Niwot, Colorado. Crocs stamped its name on too many different styles of shoes, opened too many stores and hired too many employees, executives admitted on a conference call with analysts on Tuesday. "We need purposeful change in our strategy," Andrew Rees, Crocs' new president and interim chief executive, said on the call. The company strayed too far away from its heritage and spread itself "too thin," he said. Crocs executives said the company will cut 30 to 40 percent of the shoe styles it makes in order to focus on the signature designs that made Crocs successful in the first place: classic clogs, flip flops, flats and sandals. Among the casualties is Crocs' Elite brand, which included styles like high heels and leather boots. 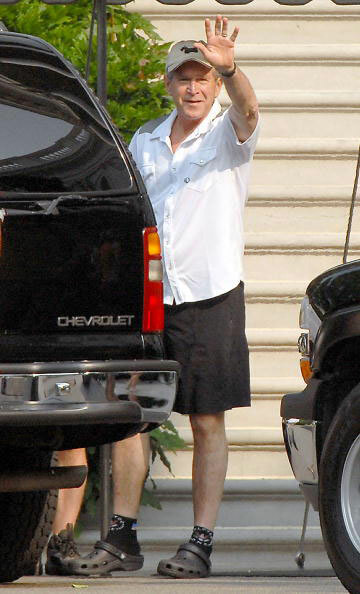 The former leader of the free world lives it up in some Crocs back in the good old days. Known around the world for its colorful, hole-filled clogs, Crocs became fashionable in the mid-2000s as a kitschy, eye-grabbing casual footwear alternative. They were remarkably beloved, and could be found on the feet of anyone from children to grandmothers to the president of the United States. The company hit $850 million in annual sales by 2007. Then in 2008, the novelty wore off and consumers grew tired of Crocs. The shoe maker lost nearly $200 million that year and laid off around 2,000 workers as it squirmed under a pile of debt. Though Crocs managed to survive its low point, it hasn't been able to regain its former glory. Desperate to attract new shoppers to Crocs in 2009, then-CEO John McCarvel decided to sell shoe styles that would appeal to a broader group, like wedges, boots, boat shoes, sneakers and more. "Too many people have the same product, selling it to the same consumers, and just our inability to evolve as a brand caused a turn of fortunes in the business," McCarvel said of the decision in 2012. On the Tuesday call, Rees said Crocs didn't have the "right to play" in some of these shoe categories because they didn't match the brand and its casual nature. Rees, who joined Crocs in June from management firm LEK Consulting, is serving as CEO until a replacement is found for McCarvel, who retired from his post in April. He's looking to push Crocs forward following a $200 million investment from Blackstone Group in December. 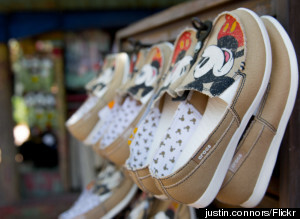 The private equity firm nabbed a 14 percent stake in the shoe seller and two board seats as a result of the investments. It will be an uphill battle for whoever takes the permanent seat at the helm of Crocs. Profits fell 44 percent to $19.7 million in the past three months, compared to the same period the year prior, though revenues rose 3.6 percent to $376 million.